Meet our February bride of the month, Marissa. The new Mrs. Barbieri and her husband Howard tied the knot in October 2018 with a perfect celebration at The Inn at Fernbrook Farms. We are still swooning over their gorgeous white and blue deckled-edged wedding invitations, fit for their elegantly rustic wedding day. Marissa: We had our wedding at The Inn at Fernbrook Farms. I had been dreaming about this day ever since I could remember, and it was everything I thought it would be and more. My husband and I are very relaxed, so we wanted our day to reflect that. 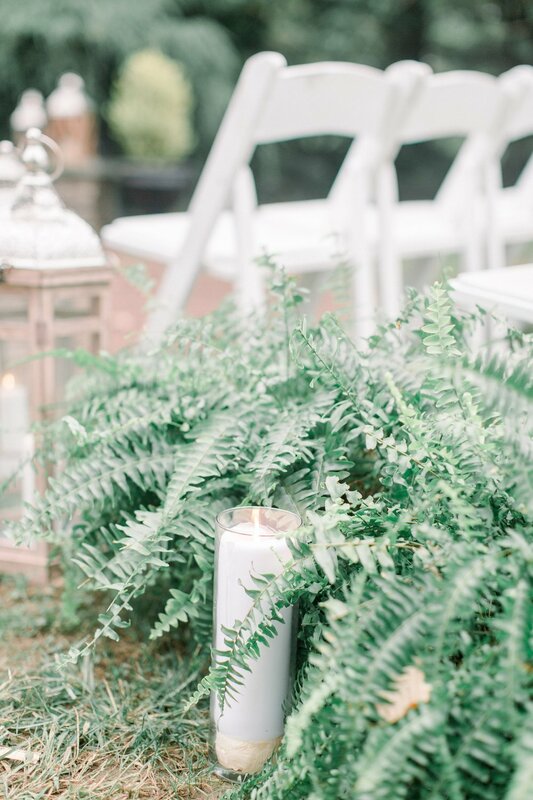 We wanted a day filled with understated elegance, which is why a tented wedding at Fernbrook Farms was exactly what we envisioned. All of our friends and family gathered at the beautiful grounds for the full days’ events. We held our ceremony at the Hearth, in which A Garden Party filled with florals and made it the most romantic, intimate and beautiful setting to seal our marriage. Then, guests walked to the “Summer House” where they enjoyed cocktails out on the sprawling greens and gardens. For the reception, they joined in the tent at the back of the farmhouse that was dripping (I mean, dripping!) in greenery and a cascading floral chandelier where we danced the night away. The entire menu was farm to table and included all of our favorite foods: chicken parmesan, shrimp and grits, farm veggies, fresh burrata, you name it! Even though we got married in October, we still wanted to hold on to a very serene color palette: whites, sea greens, blues, to embody the romance we felt on that day. We finished the night with s’mores back at the Hearth – where we started the day – surrounded by gooey sweets, a perfect evening and all of our loved ones. Marissa: It truly was the most magical day. Two moments stand out most of all: in the morning when we were getting ready upstairs in the house, all of my best girls and my mom and grandmas, looking out the window and seeing the tent decorated and coming to life. It was like watching every image I imagined about my day coming true before my eyes. And most importantly, the moments leading up to seeing my husband. We did a first look, and I was so excited to see him and spend those few moments together, out of the craziness of the day and hug him before the biggest moment of our lives! Marissa: Being able to spend time and make new memories every day with my best friend. I wanted our wedding to feel very airy, natural and full of love, but also have classic elements added in as well. 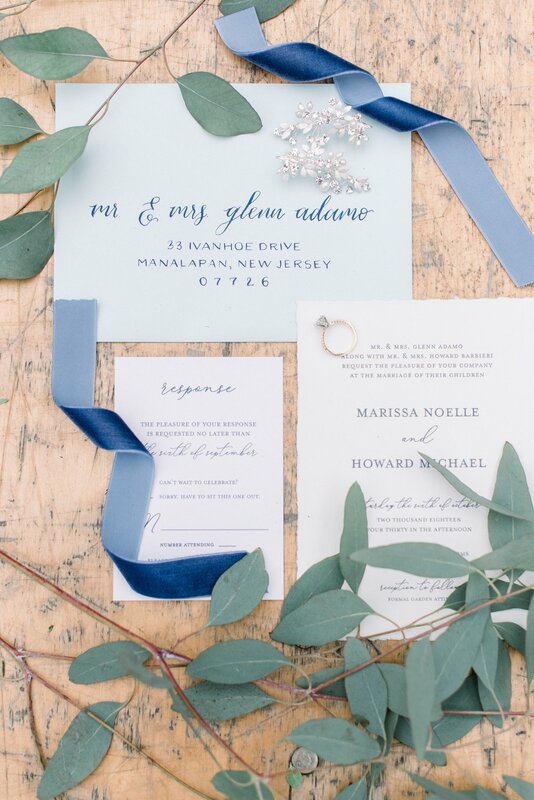 Art Paper Scissors: How did you decide on your white and blue wedding invitations? Marissa: For our invitations, it was important that they set the tone of the look and feel of the day. 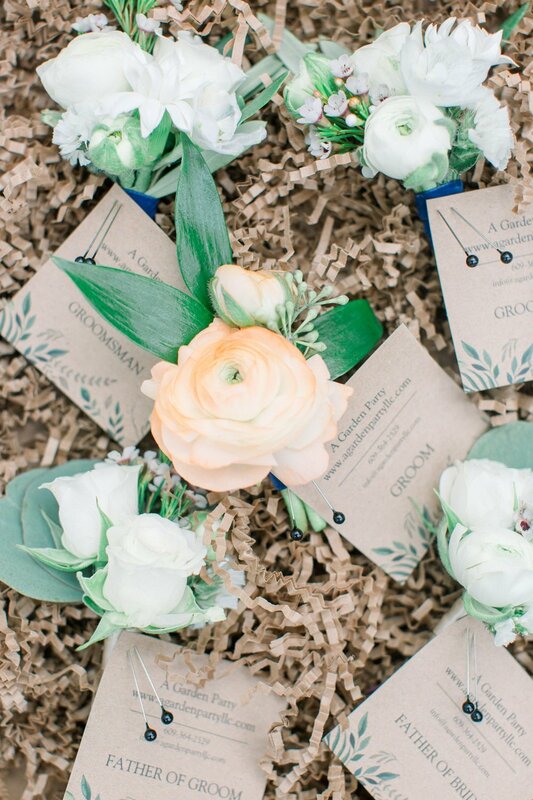 The wedding colors were filled with whites and ivories, but with pops of our signature shades of blue that would be present on the wedding day. We wanted the invites to be clean and simple. Marissa: Simple, classic and timeless! Marissa: Look at your invitations as the first impression of your wedding day; what it will look like, what feelings it’s meant to convey. 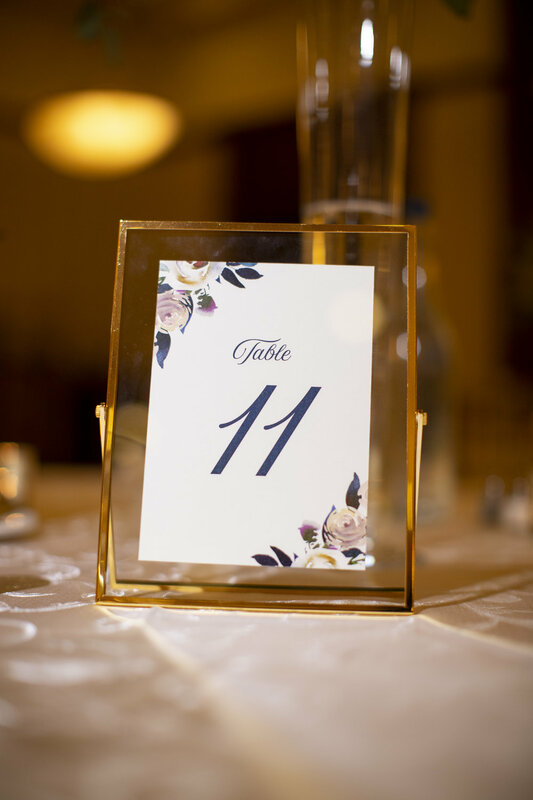 And choose a design that helps to invite your guests to share in your story. Thank you, Marissa and Howard! We are so happy that you enjoyed every moment of your wedding day. Congratulations!